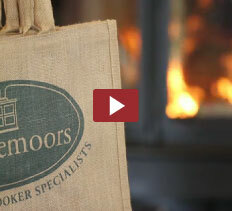 We are at the industry forefront in promoting wood-burning systems, whether for logs, wood chips or pellets. However, we understand that not everyone has all the power sources available, and particularly, rural communities may be limited in their choices. That’s why we offer such an extensive range of options. Wood burning is a great carbon-neutral choice for heating, cooking, and boiler systems. We’ve taken time to ensure that what we sell is properly manufactured for the UK market, easy to use, with good supply, proper installation instructions and quality back-up. So buying from us taps into that care, expertise, research and knowledge. As other technologies become more efficient and cost effective we’ll be there.